This comprehensive kit includes everything required to construct a high performance fuel delivery system for the EVO X. 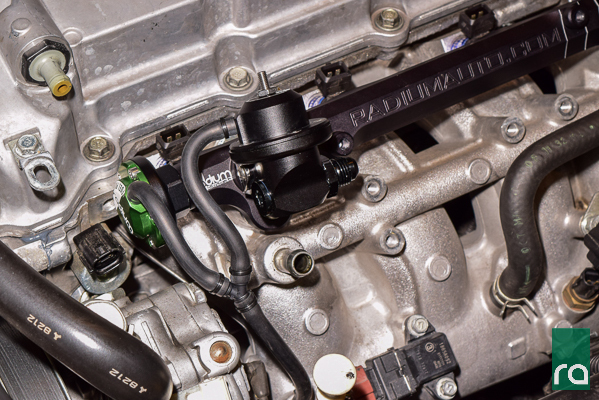 The Radium fuel pump hanger, feed line kit, fuel rail, and pressure regulator completely replace the restrictive OEM fuel system with a setup capable of supporting well over 1,000hp. 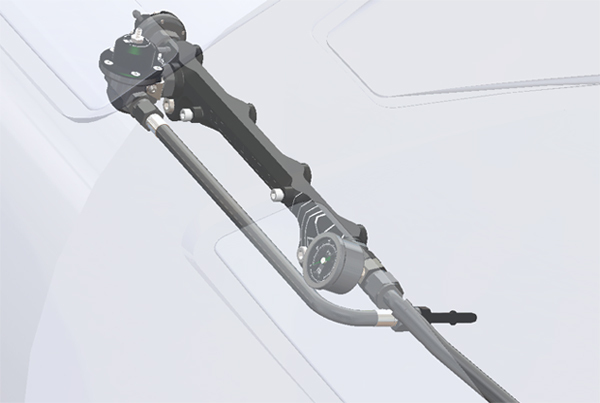 At the heart of the system is the Radium EVOX fuel pump hanger (shown below). More details on this product can be found here. The fuel pump configuration can be selected using the drop-down menu above. From the fuel pump hanger, the feed line kit passes fuel through Radium in-line fuel filter using prefabricated -8AN PTFE hoses. The filter is mounted to the chassis under the car using a specially designed bracket that does not require any cutting or drilling for installation. A selection of fuel filter elements are available. The -8AN feed line connects to the Radium EVOX fuel rail, as shown below. Adapter fittings and pressure gauge are included. 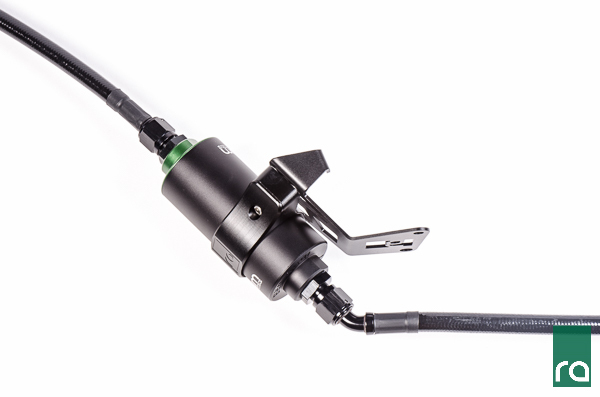 Mounted on the fuel rail is the Radium Direct Mount Regulator and a fuel pulse damper. 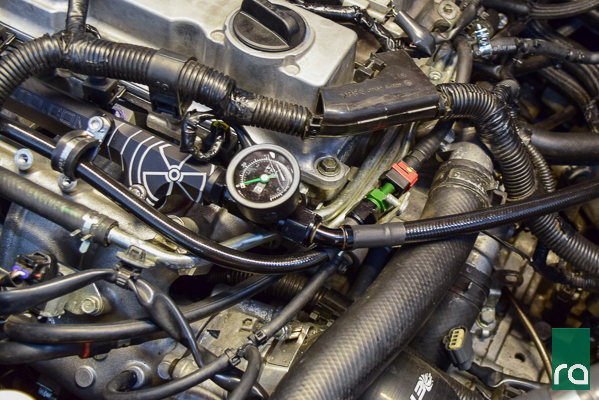 The fuel pressure regulator return uses a short -6AN prefabricated PTFE hose and adapter fittings (return kit) to connect to the factory fuel feed line, using it as the return line. The Radium Fuel Delivery System is E85 safe. Fuel injectors are not included.